Tradespoon in pleased to announce the RoboInvestor Service. We seek to serve "long term" investors, where fundamental analysis, while still utilized, takes a back seat to computer generated mathematical formulas modeled to eliminate risk while bringing forth a high degree of technical certainty about a stock's future direction. 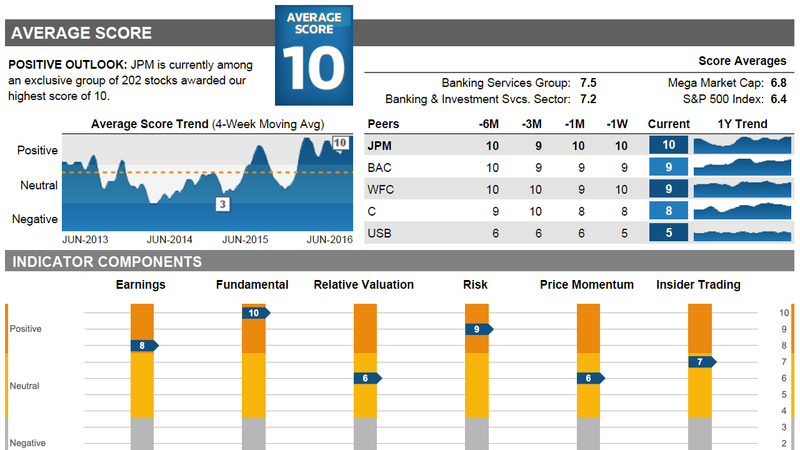 Charter Members will be advised on managing a portfolio of Tradespoon's top 10-20 stock recommendations. 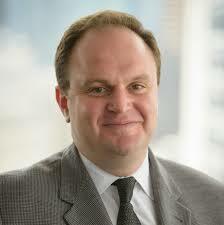 Vlad Karpel, Founder and Chief Investment Officer, will invest his own money in this portfolio. With RoboInvestor we give you investing ideas that have been screened by rigid analysis. We use the Tradespoon Bulls & Bears Tools along with the Stock Forecast Toolbox to test signals that both models agree on. 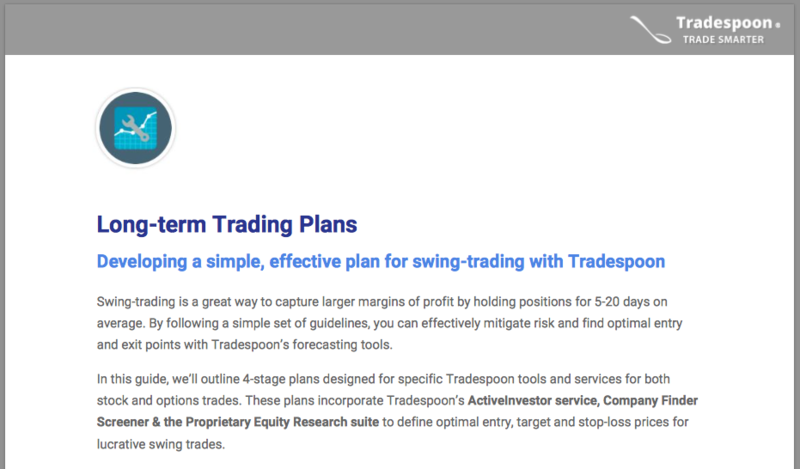 Tradespoon is using its unique number-crunching artificial intelligence that has an 80%+ success rate to aid in finding stocks with a bullish 90-day or longer outlook. It is our goal to provide an easy to access place of helping investors in crafting a portfolio consisting of our best 20+ stocks to own with a holding period of an intermediate-term time frame in mind. Many of the same AI properties being used for serious traders are applied to help serious investors outperform the market on a consistent basis. Charter Members of RoboInvestor will receive a newsletter during the middle of each month and then a second update at month end. Each issue of RoboInvestor will include stock picks for our model portfolio with the intention of managing a portfolio to own 20-25 positions with a 90-120-day time horizon to achieve our price targets. Depending on how each holding performs, we will harvest profits when our internal system dictates to sell or when our trailing stops are hit. Tradespoon Founder and CEO Vlad Karpel will be participating in every recommendation with his own capital. 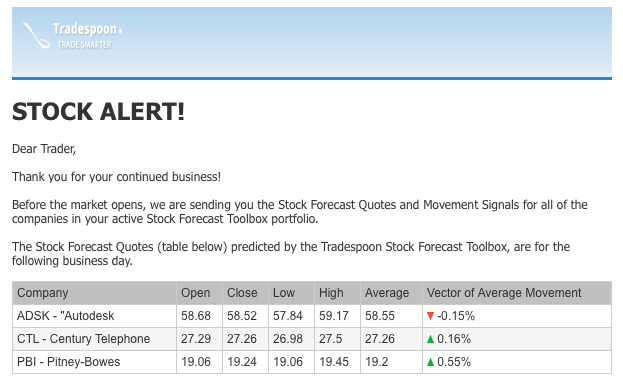 Tradespoon is excited to debut a new screener in the Stock Forecast Toolbox. 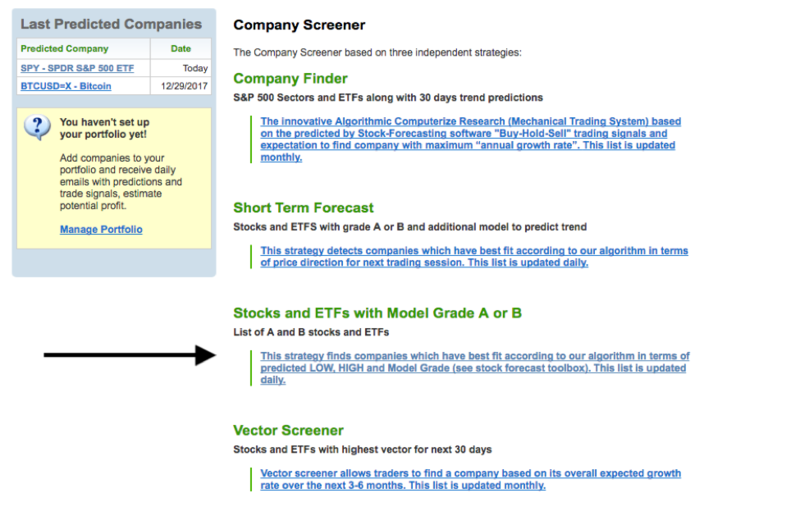 The new screener, “Stocks and ETFs with a Model Grade A or B” screens symbols by our proprietary model grade ranking system. 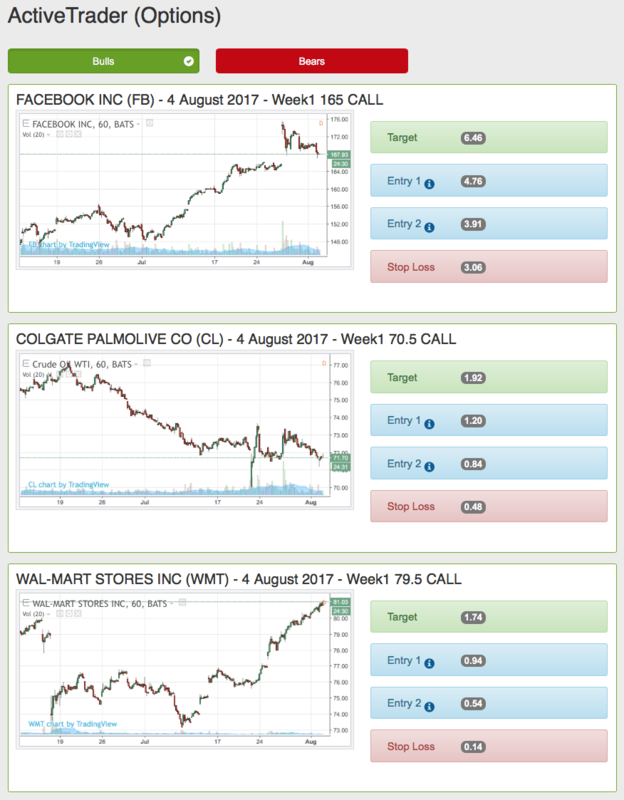 A response to a popular request from our members, this new screener provides a quick way of finding highly ranked stocks and ETFs. This screener is updated daily and is similar to the Short Term Forecast List. The screener sources data from the Stock Forecast Toolbox short term predictions and only features symbols assigned grade A or B. Model Grade ranking defines a relative accuracy score for predicting high and low for both stocks and ETF’s. An A-grade indicates the top 10%, a B-grade is the top 25%, relative to our entire data universe. 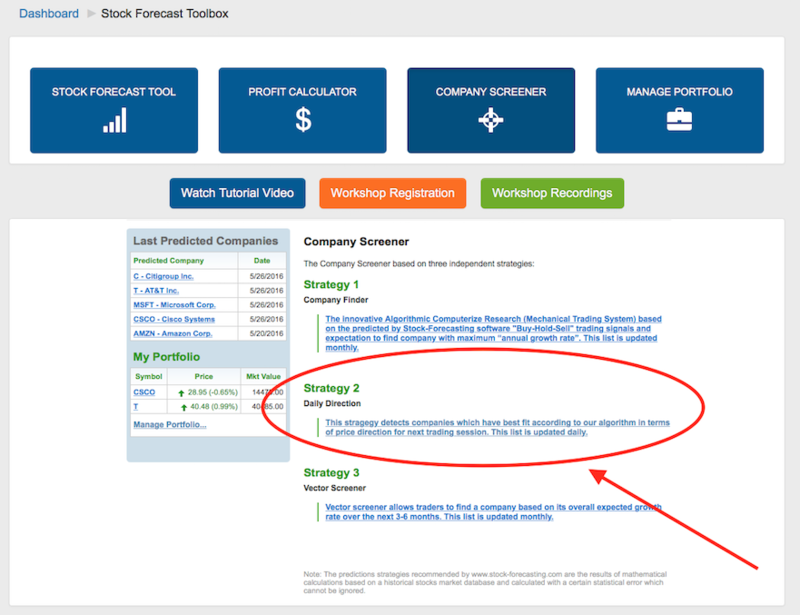 We've completely re-designed our patent-pending Stock Forecast Toolbox! The new design is not only more pleasing on the eyes, but we placed the most important information right up front for easy viewing. In addition, the new interface is mobile friendly, so you can now use it on your phone or tablet without the need to scroll left and right! 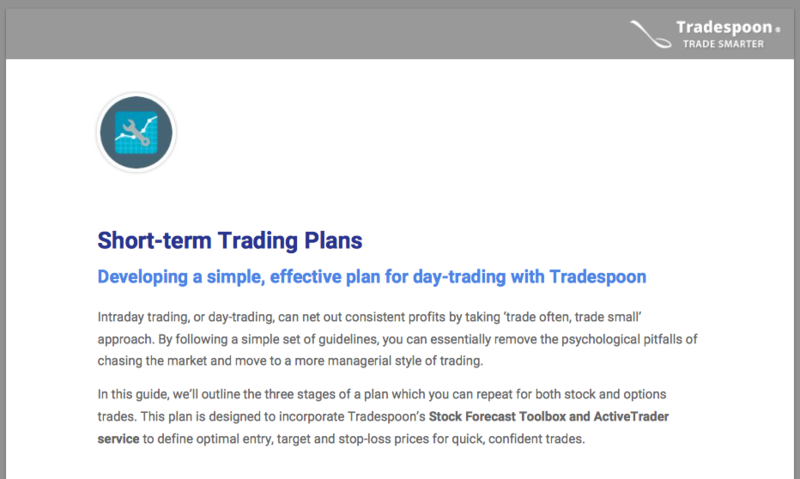 Tradespoon is pleased to announce the availability of Short-Term Trading Plan PDF Guide as well as a Long-Term Trading Plan PDF Guide! Click Here to Read and Download these Guides! 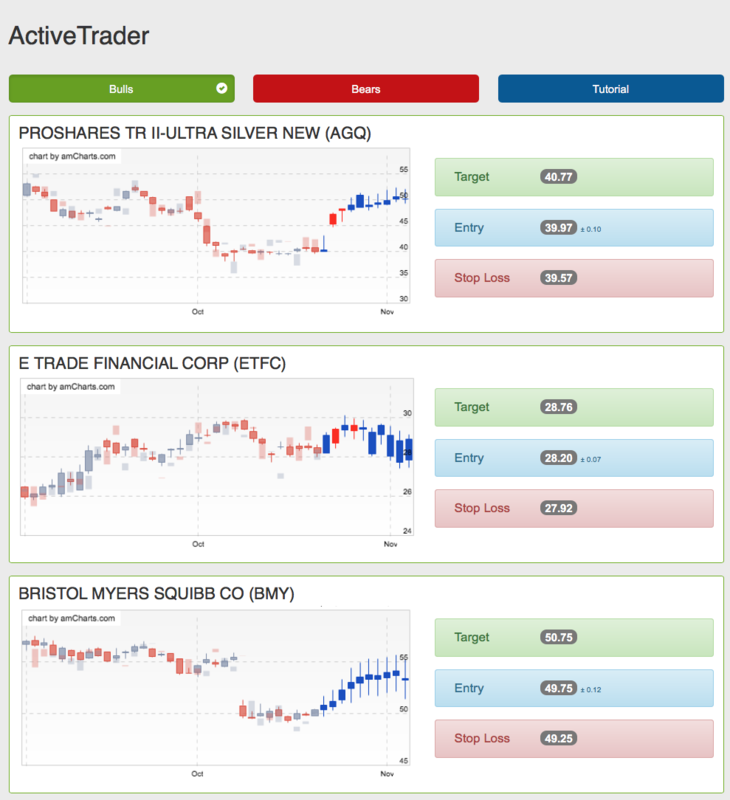 Tradespoon is pleased to announce it's brand new additions to the ActiveInvestor and ActiveTrader Services! We created this service for the busy Options Day and Swing Trader who does not have the time to research their own options trades, but still wants to remain active in the market each and every day/week! 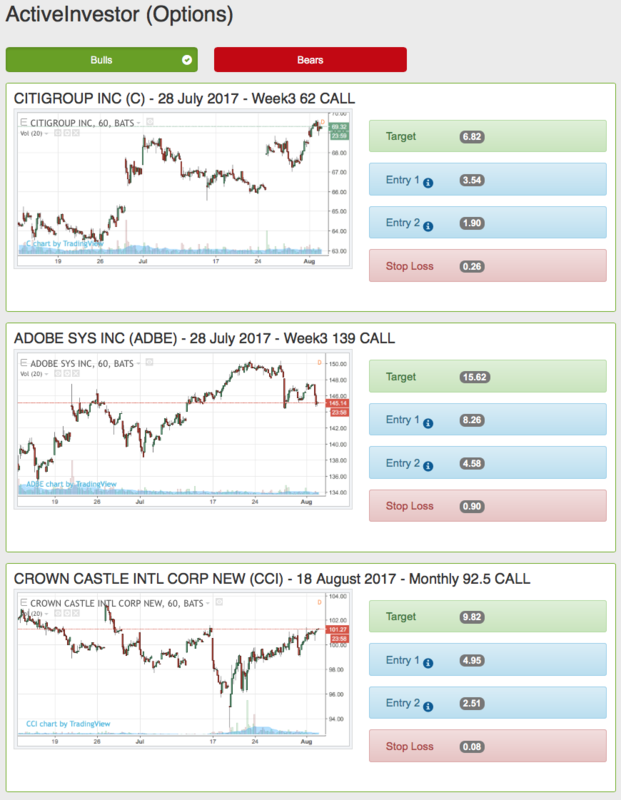 In addition to the Daily/Weekly Stock Picks, we are now including Daily/Weekly Options Picks as well! Click Here to Launch ActiveTrader (Options)! Click Here to Launch ActiveInvestor (Options)! June 23rd 2017 - Futures Forecast Toolbox is LIVE! 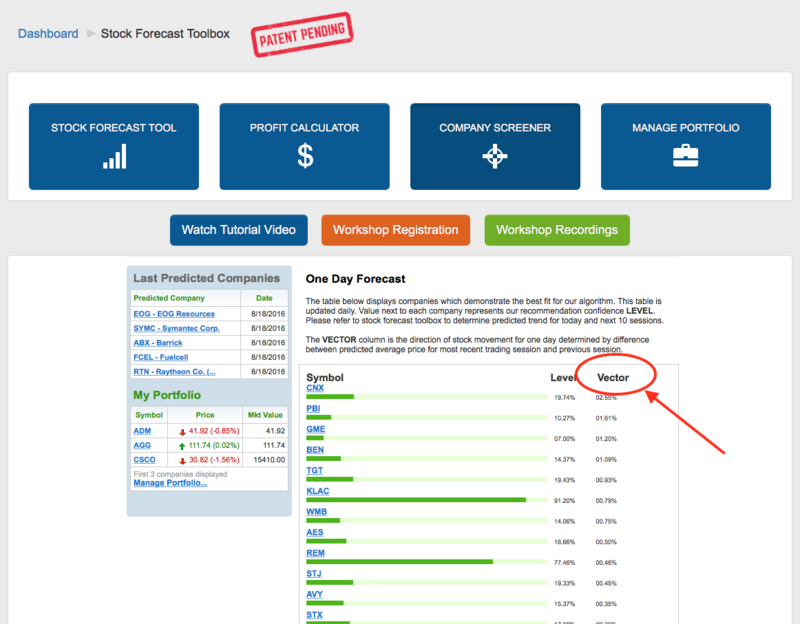 We've added some new features and figures to the prediction in our Stock Forecast Toolbox. 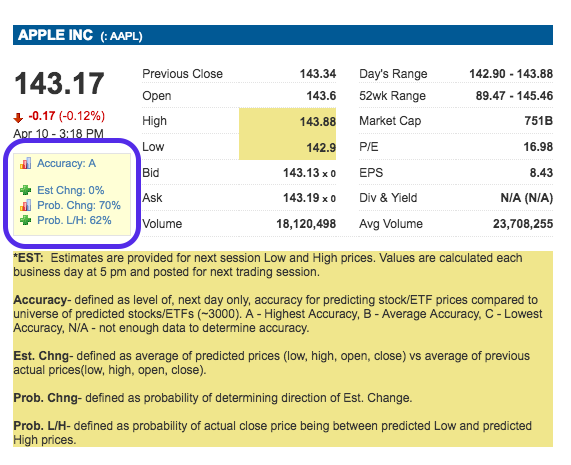 This additional data will provide a snapshot of how our prediction models are currently analyzing a particular stock or ETF. A- Highest Accuracy, B- Average Accuracy, C- Lowest Accuracy, and N/A- not enough data to determine accuracy. Estimated Change - This figure compares the average of predicted prices (low, high, open, close) against the average of previous actual prices (low, high, open, close). Probability of Change - This figure represents the probability of determining the direction of the Estimated Change. Probability of Low & High (Prob. L/H) - This figure represents the probability of the actual close price being between the predicted Low and predicted High prices. Tradespoon's Stock Forecast Toolbox uses artificial neural networks and an array of sophisticated algorithms to provide an institutional-grade edge to self-directed investors. Please visit us at to learn more. Tradespoon is pleased to announce it's brand new ActiveInvestor Service! We created this service for the busy Swing Trader who does not have the time to research their own trades, but still wants to remain active in the market each and every week! Click Here to Learn More about ActiveInvestor! Tradespoon is pleased to announce it's brand new ActiveTrader Service! We created this service for the busy trader who does not have the time to research their own trades, but still wants to remain active in the market! Click Here to Learn More about ActiveTrader! We have launched a huge improvement to our Company Screener Strategy 2 to include a Vector Column which provides anticipated magnitude and direction of stock movement for the next trading session. This new data has been instrumental in achieving our 80% accuracy rate! 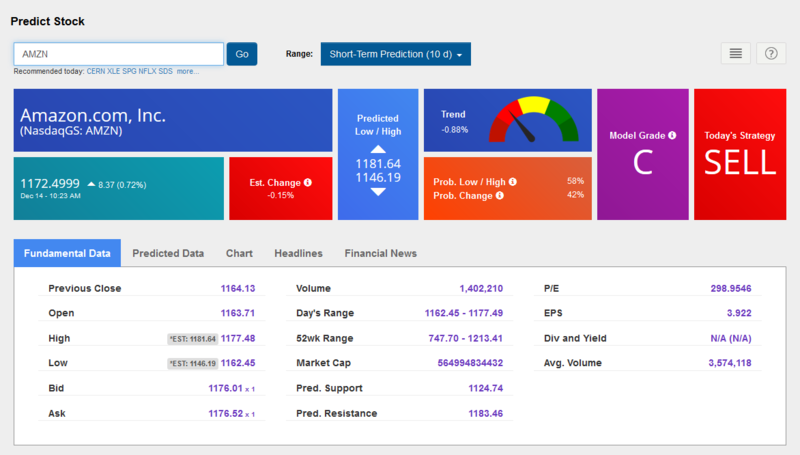 We have updated our feature of our Stock Forecast Toolbox that will help you spend less time in front of your computers while increasing your ability to profit from the markets! Before, you needed to wait until the morning, but now, we dispatch this email with all tickers in your Stock Forecast Toolbox Portfolio along with their Next-Day Predictions by 7pm Eastern Time (the night before). You will now have the ability to make trading decisions for the short-term without the need run these tickers through the Stock Forecast Toolbox. As long as they have been added to your Stock Forecast Toolbox Portfolio, you will automatically begin receiving these emails with all the data you need to make 'Smarter' trading decisions! Tradespoon has partnered with Thomson Reuters to bring you their StockReports+ comprehensive equity analysis. StockReports+ reports are the comprehensive source for quantitative analytics at the stock, industry, portfolio and market levels. 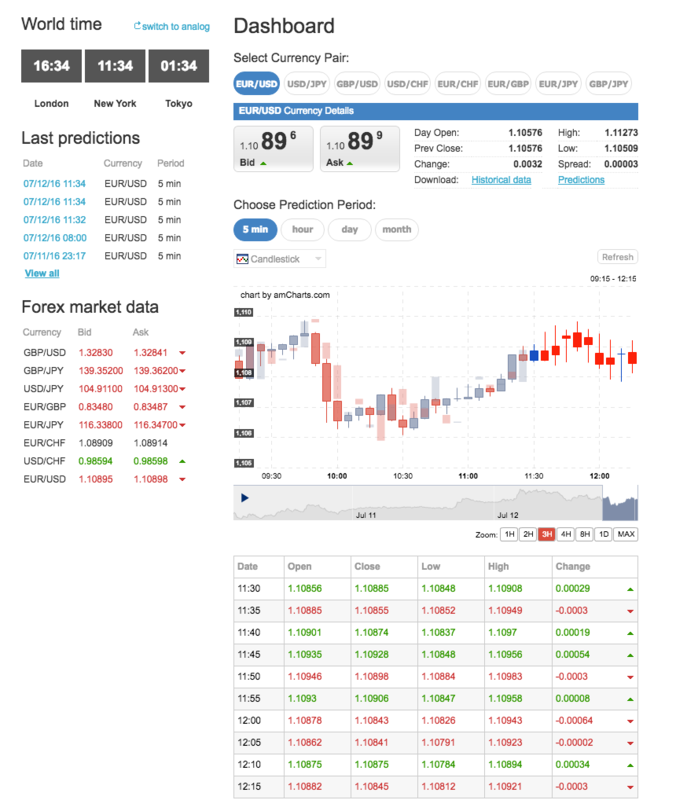 We have launched a Forex Forecast Tool available to Tools or Premium Members! 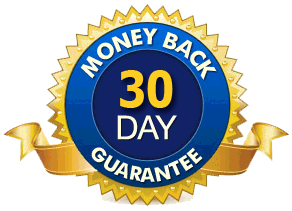 Effortlessley predict Forex trends with the highest accuracy on the market! 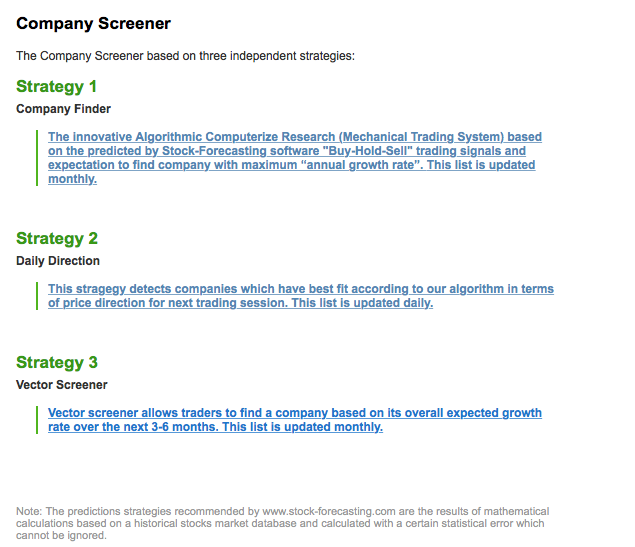 We have added ETFs to all 3 strategies in the Stock Forecast Toolbox Company screener! Check this page daily for updates! We have launched a new screener in our Tradespoon Bulls tool available to Tools or Premium Members! Tradespoon ETF Bulls is our ranking of the ETFs our system determines most likely to rise in value. Model is optimized for 40 to 50 days horizon. This list his updated once a week.! 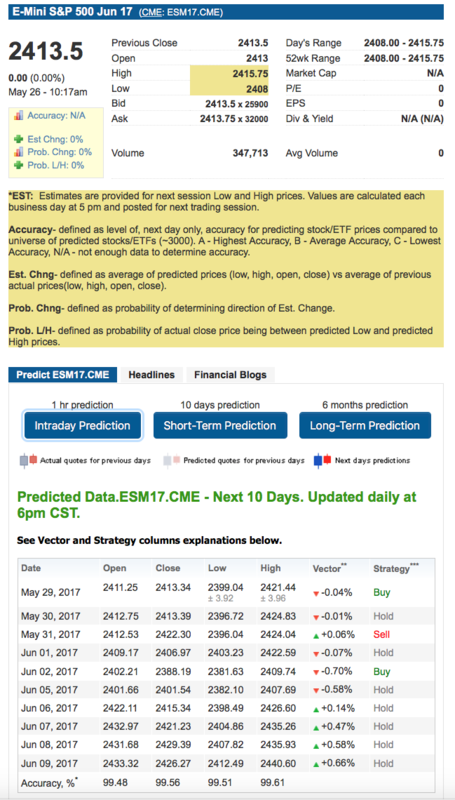 We have launched a new feature of our Stock Forecast Toolbox that will help you spend less time in front of your computers while increasing your ability to profit from the markets! 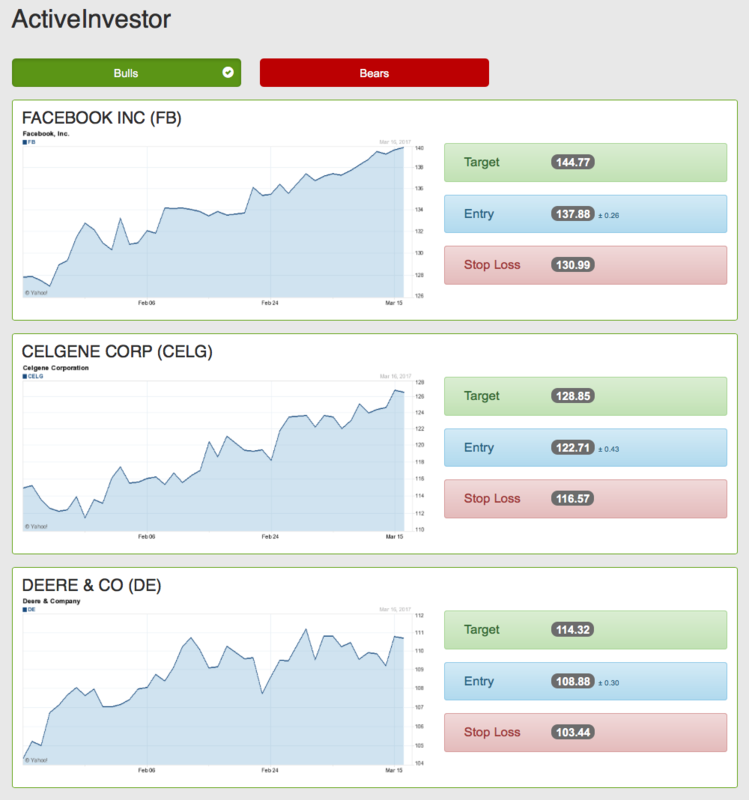 Each morning, we dispatch an email with all tickers in your Stock Forecast Toolbox Portfolio along with their Next-Day Predictions. 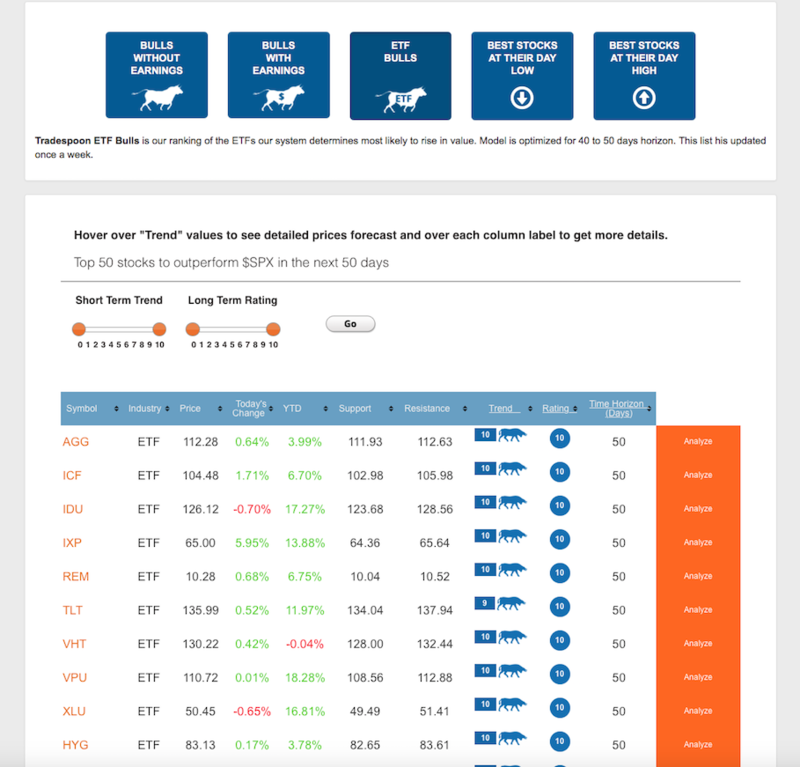 We have launched a new strategy for our Stock Forecast Toolbox Company Screener that detects companies which have the best fit according to our algorithm in terms of price direction for next trading session. This list is updated daily. This new screener has been performing with an 80% accuracy rate!